This might come as a surprise but I actually really struggle when it comes to reading. I love books, my childhood was spent surrounded by them. Both my parents are active readers and I’ve always had a pretty huge collection to choose from. However as much as I adore books, I’m a terrible reader. It can take me months to get through a book! I just can’t focus on it. Things around me become distracting or I find myself lost in thought. I get bored so my mind starts to wander and I lose track of the words. It’s pretty normal for me to be reading, get through a page and have to reread the whole page because I wasn’t paying attention. Maybe this can be blamed on school and the dread of having to read for an authority. Maybe i’m just high energy and sitting around focusing in one things makes me uncomfortable. Regardless of the reasons this is a problem i’ve always had, getting through a book is my struggle. Yet when I smoke pot these problems go away. A good toke silences the world around me and makes it easier to focus in on the content. It keeps my mind from flying off or getting bored. It sparks my immigration as well without taking away my focus from words on the pages. I can get an idea, write it down and move on without it distracting me throughout the rest of the session. It just makes reading more fun and insures i’ll be enjoying my time with no risk of boredom. 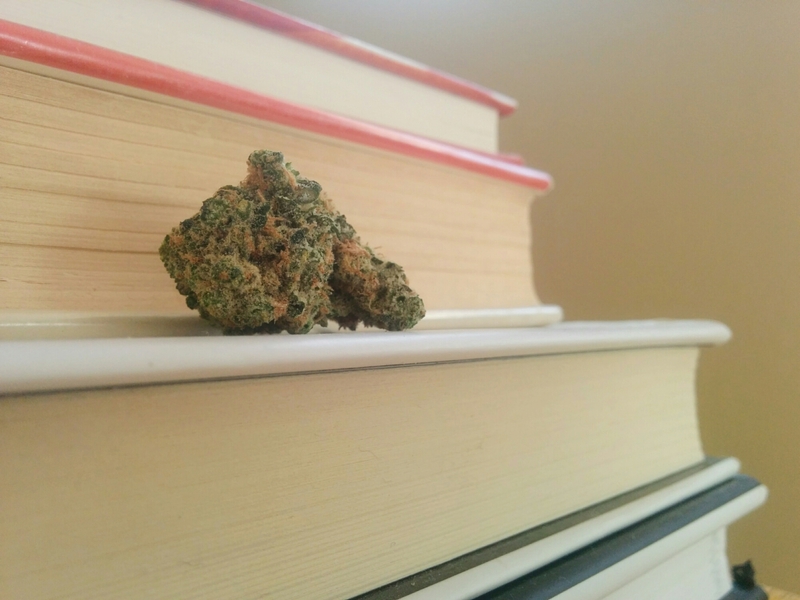 Pot helps me focus in on the book and keeps me constantly entertained so I don’t start looking for things to distract me. I’m sure there are many solutions to my problem but for the time being this works and I have a lot of fun doing it. Getting high during a hike (what a stereotypically Colorado thing) and sitting down to read has become a part of my weekly routine. If you struggle with reading maybe try giving this a shot too.